PROGRESSIVE congregations around South Africa evaluated three different prayer books during 2008, and have chosen one – the US prayer book Mishkan T’Filah – which is to be adopted from December 2009, in a modified form customised for South Africa. Most copies of the book, in most congregations, are now in an extremely tattered state. Changes to the liturgy, particularly the use of gender-inclusive language, have made it obsolete. South African rabbis decided that the choice of payer book should be one in which all members could participate. During the course of 2008, three different prayer books were tried out in congregations around the country: The British Reform prayer book Forms of Prayer (2008); the British Liberal movement prayer book Siddur Lev Chadash (1995); and the US reform prayer book Mishkan T’Filah (2008). The Liberal book was rejected first, as too abbreviated, although many people liked the additional readings it supplies. The British Reform book was widely supported because it takes the most traditional approach, closer to South African practice, and offers excellent explanatory notes. But in the end, the US book won out, for a number of reasons. The book contains the Pilgrim Festival prayers, eliminating the need to buy yet another prayer book (the British book is for daily and Shabbat prayer only). 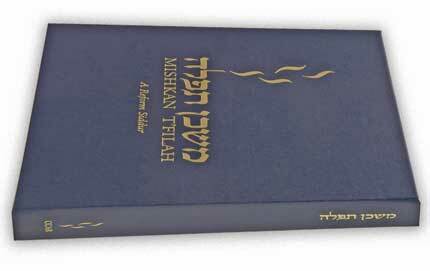 Mishkan T’Filah includes the widest selection of supporting materials, including music, adult study material and even a full colour children’s siddur and machzor. The Progressive Jewish movement in Australia and New Zealand were given permission by the Americans to customise the book to their purposes. Changes could be made to US spelling, to references to northern hemisphere seasons, and to various prayers which had been shortened. The Australians contacted the South Africans, and it was agreed to jointly produce a Commonwealth version, including local national prayers and anthems. Considerable editing and production work is required, which is why the revised Mishkan T’Filah will only be launched in South Africa near the end of 2009. The book has a most attractive format and design, and is printed in colour. It includes a wide selection of additional readings from the Progressive liturgical tradition and the great poetic writings from Jewish history. It is flexible, allowing for alternative theologies and styles of service. During the months up to June 2009, the SAUPJ will be calling upon supporters to help sponsor the siddur project. One type of sponsorship allows people to have dedications to their loved ones inscribed permanently in all printed copies of the book. Three different levels of sponsorship are available, ranging in price from R2 500 to R7 500. To learn more about the programme, click here to see the SAUPJ sponsorship form. Mishkan is the Hebrew word for “tabernacle”, the nomadic holy sanctuary carried through the desert by Moses and the Israelites. Mishkan T’Filah translates as tabernacle, or dwelling place, of prayer.